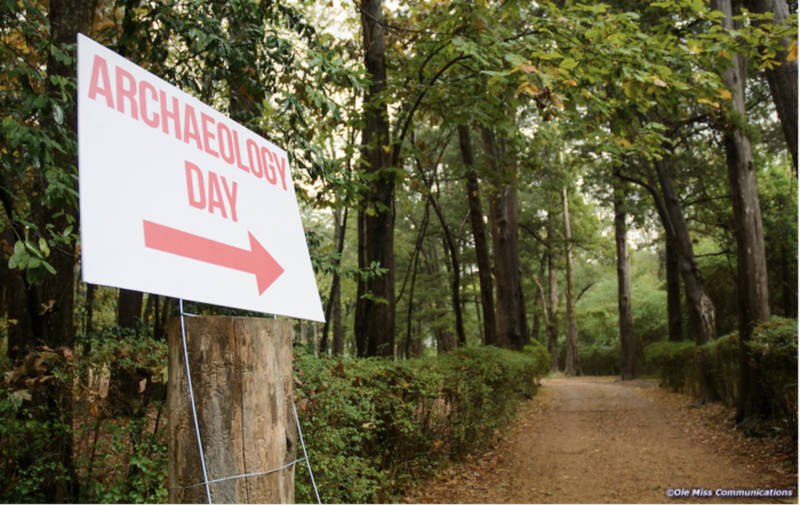 The University of Mississippi Slavery Research Group, the Center for Archaeological Research, and the Department of Sociology and Anthropology continue their search for evidence of slave life through an excavation on the grounds of Rowan Oak, a National Historic Landmark. Our research interest is in the pre-Faulkner era of the property, from 1848-1865. What is happening at Rowan Oak? The University of Mississippi Slavery Research Group is conducting an archaeological study of the property to find evidence of slave life during the pre-Faulkner era, specifically from the 1840s to the 1860s, when the property belonged to Oxford settler and slaveholder Robert Sheegog. We know very little about slavery at the University of Mississippi at the time of its founding. Though recent research by the Slavery Research Group has led to a greater understanding of the role of slavery in the construction of the campus, we hope archaeology will be an avenue for finding more information as it has at the other historic sites of Monticello in Charlottesville, Virginia, and the Hermitage in Nashville, Tennessee. Archaeology at Rowan Oak can tell us about the daily lives of the enslaved people—their diet, activities, personal adornment, religion, and dress. The materials we hope to discover from excavations will tell us more about the African American story at the Sheegog Estate, now known as Rowan Oak. We plan to develop exhibits to provide visitors with a more complete picture of the property history. What does this have to do with William Faulkner? Faulkner had direct experience with former slaves and the descendants of slaves during his time at Rowan Oak (1930-1960). He wrote extensively about slavery and the legacies of slavery in his fiction. A deeper understanding of the African American experience on this historic property could lead to a deeper understanding of the Nobel Prize-winning author‘s work. In order to understand UM’s full history, we need to look for evidence of those who were known, like Sheegog and Thompson, and those who were not recorded in history, like slaves. Archaeological excavation allow us to obtain a fuller picture of mid-19th century life at the University and in Oxford. In doing so, we join other institutions, such as Brown University and the University of Virginia, who have worked to more fully explore and record their past. Where can I find more information about this project and research? In addition to the University of Mississippi Center for Archaeological Research, the Burns-Belfry Museum and Multicultural Center at 710 East Jackson Avenue, Oxford, Mississippi, is a wonderful resource for information about African American life in the Oxford–Lafayette County community.